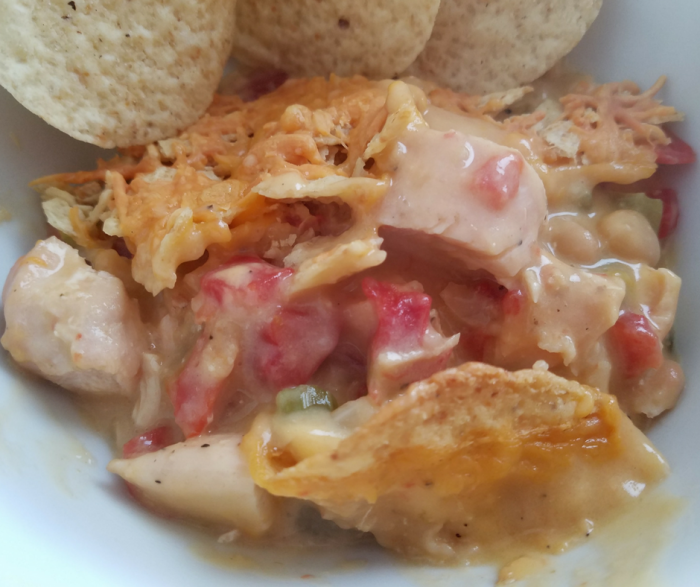 This Mexican Chicken Casserole is an amazingly easy and tasty recipe. Everyone in our family loves it, and I know it will be a hit in your home. It’s ideal for those on Weight Watchers as it adds a great cheesy meal that is low in points! 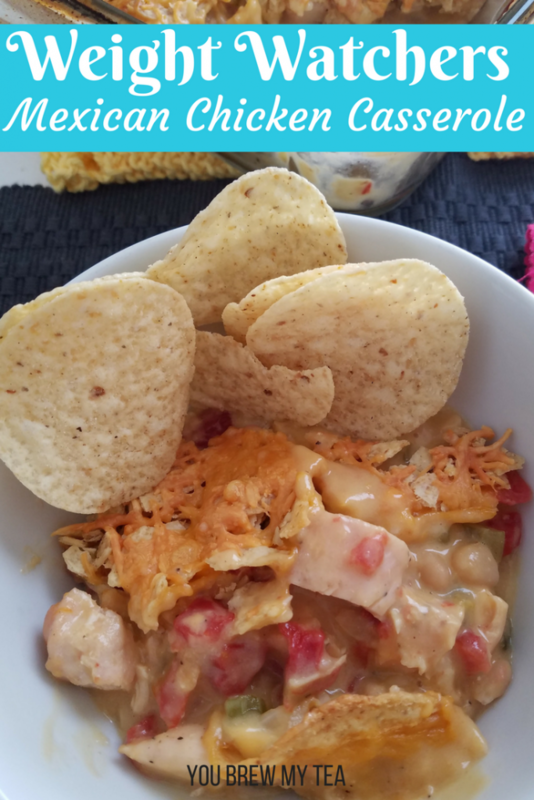 Growing up, we called it Dorito casserole since my mom always topped it with crunched up Dorito chips. Through the years, I have wanted to make it again, but knew it would be way too high in points. 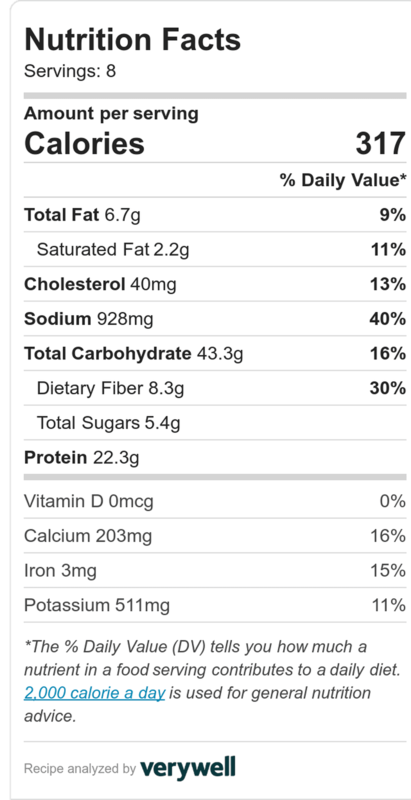 I added some zero point beans and different products that are lower in calories to give the same flavor with lower points and calories. I make this in an 8″x8″ square glass casserole dish. You can use any casserole dish for this recipe but will want to divide into 8 equal portions for serving. In a large stockpot, heat onion and celery in a small amount of water (1-2 tablespoons) or non-stick spray. Cook until just beginning to soften. This is usually 4-5 minutes. 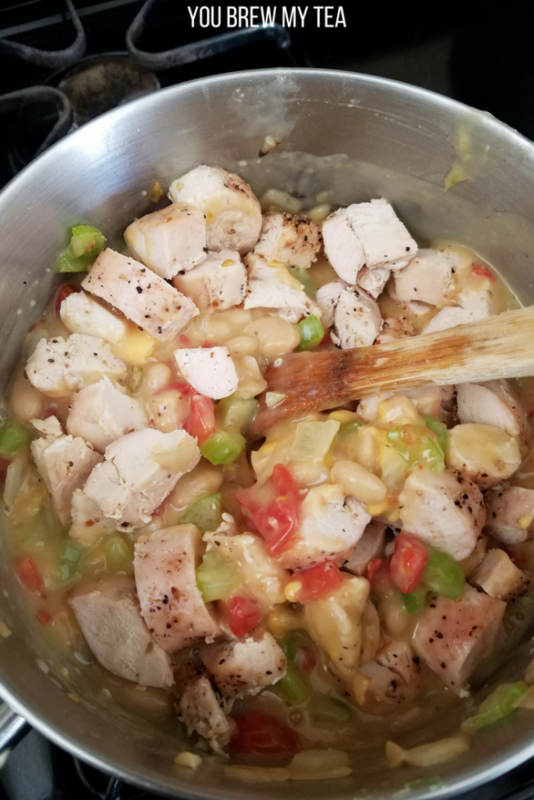 Add in cooked chicken, Rotel tomatoes, cheese slices, cream of chicken soup, and beans. Stir well to combine, and cook for additional 4-5 minutes or until heated through and cheese has melted. Line the bottom of the casserole dish with 1/2 tortilla chips. Pour mixture over tortilla chips. Top with remaining tortilla chips that have been crushed. Bake at 375 degrees for 25 minutes or until cheese is melted and bubbling. 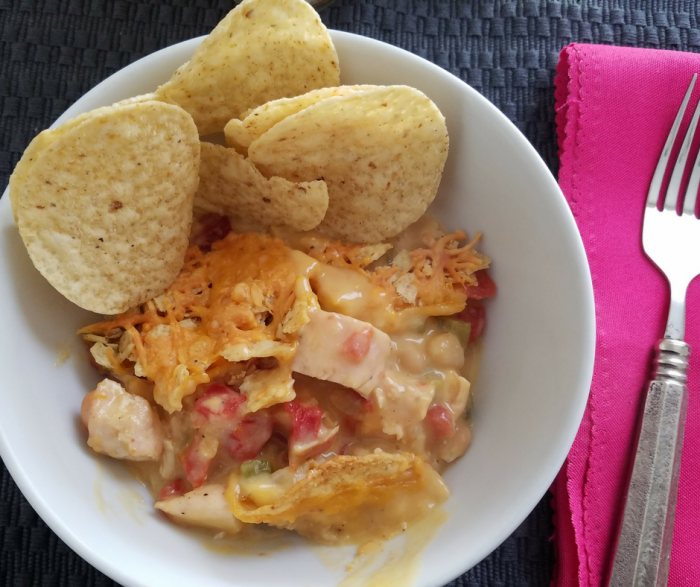 Line the bottom of the casserole dish with ½ tortilla chips. 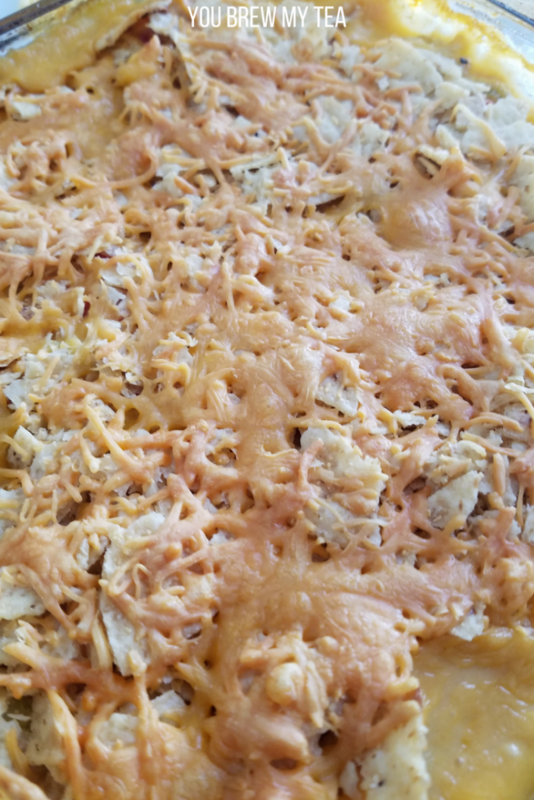 Making a great Mexican Chicken Casserole for your family will be a perfect way to throw together a meal you love. This is great served with a few extra tortilla chips and a side salad! It’s also a perfect meal to make ahead and prep for meals the rest of the week.